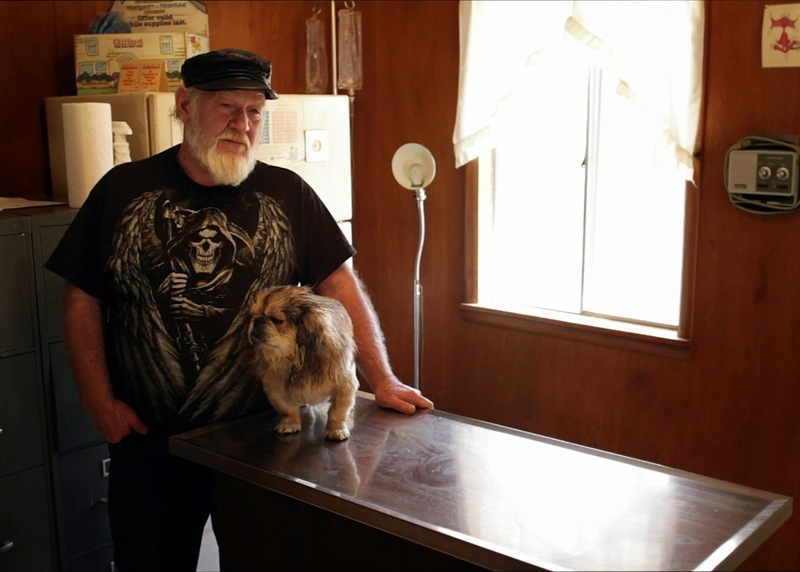 Ron "Stray Dog" Hall and one of his beloved pooches in "Stray Dog." Photos courtesy of the New York Film Festival. Two films, a documentary and a feature, about regular people are on the docket this evening at The 52nd New York Film Festival. In “Stray Dog,” in the second screening of its U.S. premiere run, Ron “Stray Dog” Hall is a role model for us all. The Missouri native is doing his bit to make the world a better place. Debra Granik's engaging, endearing and witty snapshot shows a man who works tirelessly in the aid of veterans and their families, repairing floors and such. He's often on hand at the memorial services of veterans who have come home in a box. Newly married, he navigates the red tape to get the sons of his Mexican wife into the country. He loves his dogs. He rides a motorcycle and on his person has not shortage of tattoos. RH is a simple fellow, living in a simple way, just trying to do the right thing. Here is an unsung American hero whose story is told with the reverence it deserves. Simple people living, doing everyday things, things they have been doing for perhaps generations. That, in essence, is the charm of Alice Rohrwacher's “The Wonders”/ “Le Meraviglie.” The film has the first of its North American premiere screenings this evening. It is also a coming-of-age tale of Gelso (Maria Alexandra Lungu). The oldest of four girls of a beekeeping, honey-making family in the Italian countryside. Gelso runs the family, though her father is the head. It is she, dutiful and mature for her age who enters the family into a TV competition called “Countryside Wonders” that focuses on country folk doing nifty things. If they win they can bring their honey lab up to code and make a better living. “The Wonders” is a slice of life, not especially engaging or uninteresting. It just is.